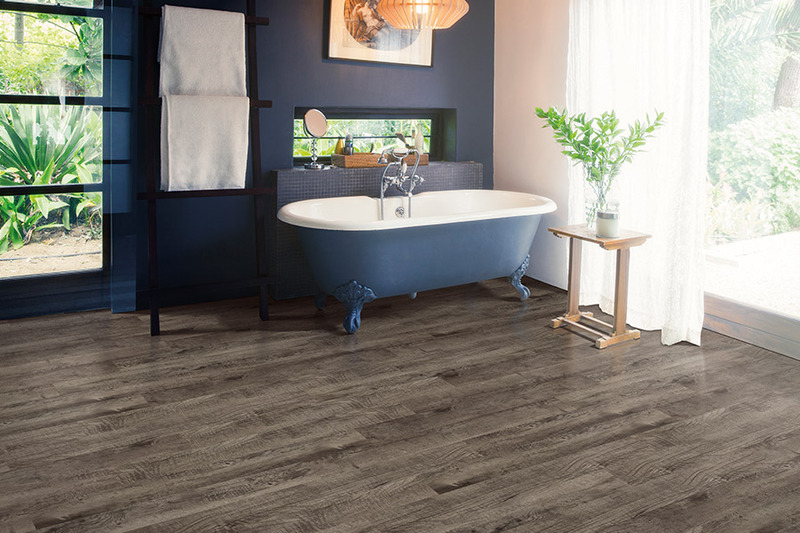 Luxury vinyl flooring (LVF) differs from standard vinyl tile in its ability to mimic natural materials such as stone or wood. A realistic photo image is used to accomplish the effect. 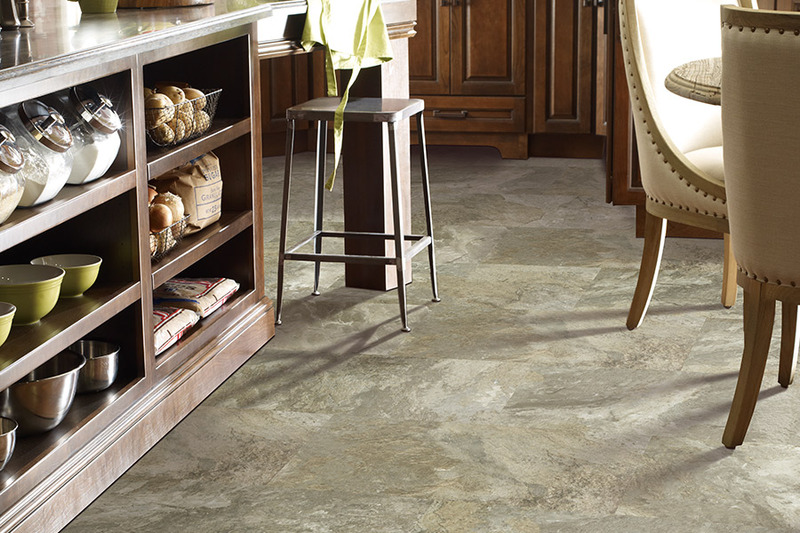 Textures that resemble real materials are added to the luxury vinyl tile. LVF is a highly sought after product because of its protective wear-layer, thick overall dimensions, realistic imaging, and deep embossing. Appearance: luxury vinyl takes one of two forms, either simulating stone such as marble, travertine, and slate or wood such as pine, walnut, oak, maple, and teak. Form: Another characteristic of luxury vinyl is the shape of individual pieces. 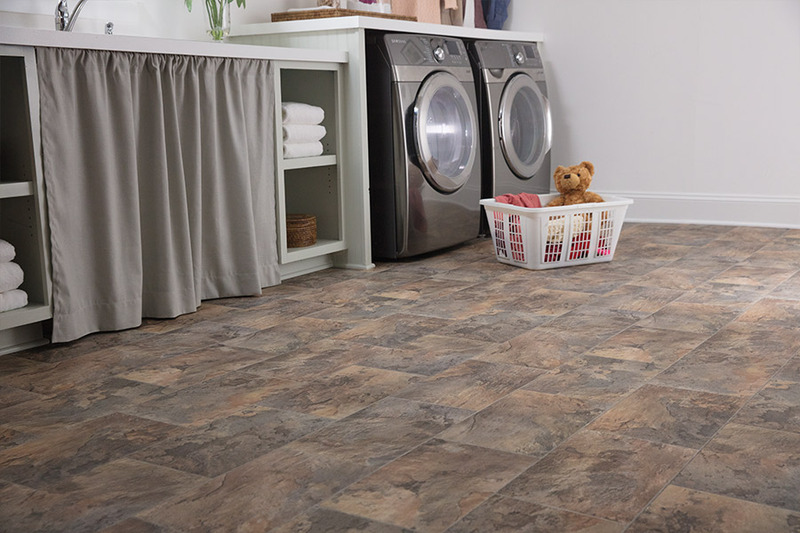 Traditional vinyl tile is usually square. 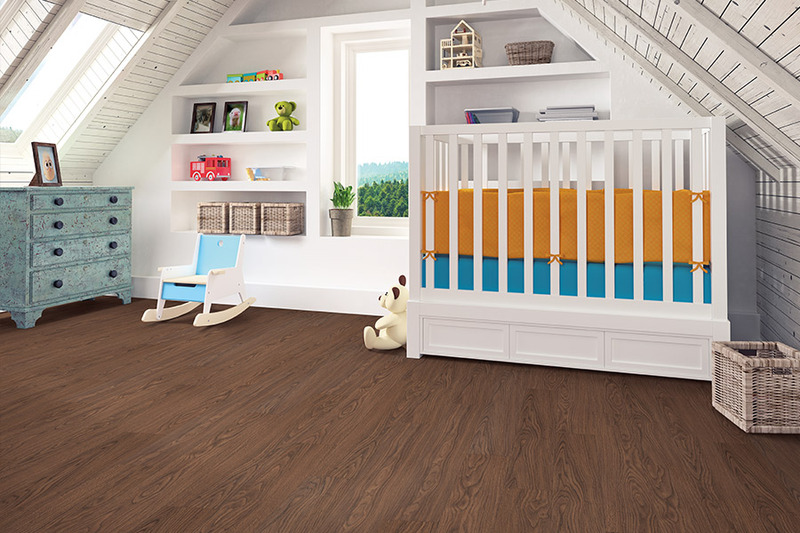 Luxury vinyl tile that imitates hardwood flooring is available in plank shape. Composition: Luxury vinyl is either 100% vinyl or a mixture of vinyl and limestone. Planks are all vinyl while the LVF that looks like stone may be 75% limestone and 25% vinyl. Aluminum oxide prevents shoe scuffs and light scratching. A clear film layer protects against more severe damage such as tears and rips. The design layer is a realistic photo print of wood or stone. The bottom layer is the 'meat' of the product that gives solidity and structure. Ninety percent of luxury vinyl thickness is in the backing layer. It seems like an oxymoron to call a floor both 'vinyl' and 'luxury.' 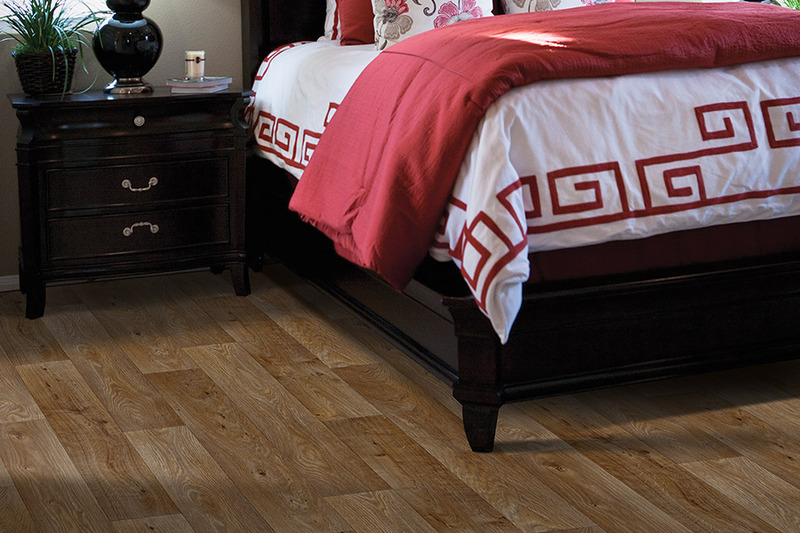 Vinyl flooring is generally associated with bargain installations. New technology and associated marketing has now brought luxury vinyl flooring in to million dollar homes. In 2006, manufacturers reinvented the vinyl flooring that could only offer stone look flooring, with unrealistic grout lines, into a viable flooring, that could be installed in condominiums, which had previously prevented vinyl floors in the HOA covenant.